Thanks in large part to your continued interest and support for Design Onscreen—The Initiative for Architecture and Design on Film, 2010 has been an eventful year filled with new films, events and opportunities. As this year winds down, we’d like to update you on our work at the intersection of film and design and to highlight what lies ahead for 2011. Design Onscreen thrives only through the support from people like you, who share our passion for great films and good design. Please help us further our mission of producing, preserving and promoting high quality films on architecture and design. You can choose to donate, purchase films and find out more about our efforts. Congratulations to Director Murray Grigor and Cinematographer/Producer Hamid Shams. We look forward to sharing this prestigious stage with the world’s best in films on art. Design Onscreen at the Moscow Architecture and Design Film Festival – (December 2-4, 2010): The exiting FIFA news comes quick on the heels of another recent international foray by Design Onscreen. The 2nd Annual Moscow Architecture Film Festival in Moscow featured three of our documentaries: Contemporary Days; William Krisel, Architect and Desert Utopia, plus two other great films on American Architects: Infinite Space: The Architecture of John Lautner and Citizen Architect: Samuel Mockbee and the Spirit of the Rural Studio. Just a few blocks from the Kremlin, Board Member and architectural historian Alan Hess gave talks at the festival on midcentury architecture and the value of Russian preservation efforts. We’re especially grateful to our host Irina Korobina, Director of the Schusev State Museum of Architecture, and her enthusiastic team. Design Onscreen at Dutch Design Week – (October 23-29, 2010): We were delighted to support the launch of an exciting new film festival linked to Dutch Design Week, a 9 day event in Eindhoven, Holland which attracts over 1500 designers and 150,000 visitors. The new Film + Design Festival showcased a lively array of films about design, craft, creativity, futurism, art, technology, fashion, music and architecture. This festival featured two of Design Onscreen’s films, Hella Jongerius: Contemporary Archetypes and Contemporary Days. Congratulations to our hosts at Cicada Studio (Marijke de Bie and Ward Janssen) for creating a memorable event. Design Onscreen in New York City for National Design Week – (October 9-17, 2010): Design Onscreen was able to participate in New York City’s first Architecture and Design Film Festival, hosted by Tribeca Cinema. The Architecture and Design Film Festival in New York City took place October 14-17, 2010 coinciding with National Design Week. Contemporary Days was one of 40 films featured at the festival and Hella Jongerius: Contemporary Archetypes screened at the Cooper-Hewitt National Design Museum. Special thanks to our gracious New York hosts: Kyle Bergman, Festival Director and Jennifer Northrup, Communications Director at the Cooper-Hewitt. Design Onscreen at the London Design Festival (September 21-23, 2010): Contemporary Days: The Designs of Lucienne and Robin Day had its UK premiere at the Victoria and Albert Museum Auditorium during the London Design Festival. Our warmest thanks go to V&A Design Curator Christopher Wilk, Cherrill and Ian Scheer, and the Target Gallery’s Geoffrey Rayner and Richard Chamberlain who helped to make these London screenings possible. We were also delighted to host two private screenings at the Royal Society of Arts and were honored by the presence of both legendary designer Robin Day and his daughter Paula Day. 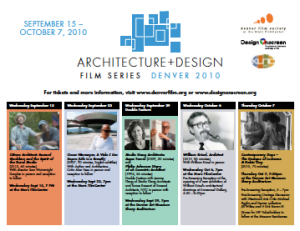 2nd Annual Denver Architecture + Design Film Series – (September 15 – October 9, 2010): For the 2nd year in a row, Design Onscreen partnered with the Denver Film Society to present the Architecture + Design Film Series in our hometown. Building on last year’s success, we were gratified to attract large audiences to this edition with each of the five screening accompanied by Q&As with filmmakers and architects, as well as receptions at some of Denver’s best restaurants. 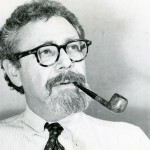 The 2010 series came to a close in October with a special reception at Emmanuel Gallery featuring an exhibition of William Krisel’s architectural drawings followed by the film, William Krisel, Architect. Bill Krisel and his wife Corinne graced all of the October series events with their presence. Special thanks to our friends at the Denver Film Society: Tom Botelho, Ann Collier and Patrick O’Brien. We look forward to next year’s series with more exciting films and guests! Journeyman Architect Wins Award at the Newport Beach Film Festival – (April 22-29, 2010): The Newport Beach Film Festival honored Design Onscreen by selecting three of our films, Journeyman Architect: The Life and Work of Donald Wexler, William Krisel, Architect, and Hella Jongerius: Contemporary Archetypes for their 2010 program. 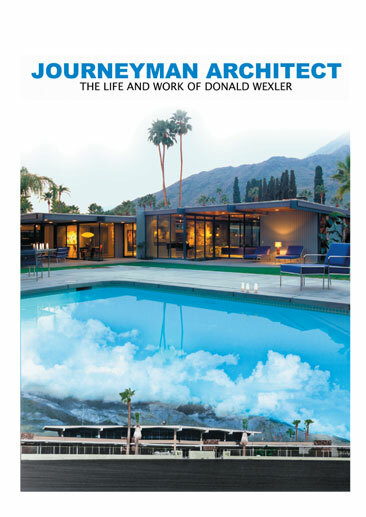 We were also gratified when Journeyman Architect, Director Jake Gorst’s documentary on Donald Wexler won the Festival’s coveted Audience Award in the Art, Architecture and Design category. In addition, Design Onscreen’s films on Donald Wexler and William Krisel were chosen for the Orange County Museum of Art’s Cinema Orange summer film series showcase in association with the Orange County Museum of Art and the Newport Beach Film Festival. Special thanks to the Newport Beach Fest’s Director of Special Programming Leslie Feibleman for her support. at Palm Springs Modernism Week (February 14-19, 2010): Design Onscreen’s partnership with Palm Springs Modernism Week grew stronger this year with the launch of the Architecture and Design Film Series (February 14-19). The world premiere of William Krisel, Architect opened the film series with 450 in attendance, followed by a Q&A with Krisel, Director Jake Gorst. Design Onscreen’s Desert Utopia: Midcentury Architecture in Palm Springs along with three other great architecture and design films completed the series. William Krisel, Architect at LA’s Getty Center (April 13, 2010): Over 500 attendees turned out for the Los Angeles premiere of William Krisel, Architect at The Getty Center. This special screening was followed by a on-stage conversation with William Krisel and Wim de Wit, head of the Getty’s Department of Architecture and Contemporary Art. A reception with many of the film’s cast and crew brought the superb event to a close. Palm Springs Honors Donald Wexler – January 22-24, 2010: To start the year, Design Onscreen partnered with Palm Springs Preservation Foundation to honor the famed desert architect during Wexler Weekend. This event included a screening of Design Onscreen’s Journeyman Architect: The Life and Work of Donald Wexler, followed by a Q&A with Wexler himself, as well as tours of homes designed by Wexler. So that’s a look back at this busy and rewarding year for Design Onscreen. In 2011, we’re anticipating even more interest and support as awareness of our efforts. So far on the calendar we’re looking forward to expanded line-ups for Architecture and Design Film Series in Palm Springs (Feb.) and Denver (Sept.), as well as some new cities to be announced. We hope you’ll join us at these events and consider supporting our commitment to excellence in film and design with a donation. From all of us at Design Onscreen, we wish you all the best for 2011. Design Onscreen goes to Russia this week, where we’ll co-sponsor the 2nd Annual Moscow Architecture Film Festival December 2-4, 2010, in partnership with our hosts, the Schusev State Museum of Architecture, the Center for Contemporary Architecture and the Moscow Museum of Cinema. Design Onscreen will proudly present three of its own feature films, Desert Utopia: Midcentury Architecture in Palm Springs; William Krisel, Architect and Contemporary Days: The Designs of Lucienne and Robin Day, along with two other excellent documentaries on American architects, Infinite Space: The Architecture of John Lautner (produced by the Googie Company) and Citizen Architect: Samuel Mockbee and the Spirit of the Rural Studio (produced by Big Beard Films). In addition, on December 1 at 7pm, Design Onscreen Board Member and Historian Alan Hess will lecture at the State Museum of Architecture on current issues in U.S. architectural preservation. On the the Festival’s opening night (Dec. 2), Alan Hess and Executive Director Heather Purcell Leja will give a presentation on Design Onscreen’s mission and activities. All of the following screenings and events will take place at Schusev State Museum of Architecture in Moscow, Russia. For a complete Festival schedule, click here. Desert Utopia traces the origins and growth of midcentury architecture in the modernist mecca of Palm Springs, California. The city boasts many landmark buildings by such modernist pioneers as Richard Neutra, Albert Frey, E. Stewart Williams, Donald Wexler, William Cody and William Krisel. Director Jake Gorst’s film brings these unique structures alive and features never-before-seen archival footage of the architects and construction that made Palm Springs a unique gem of design in the desert. One of the most prolific Southern Californian architects of the 20th century, William Krisel’s influence continues to reverberate today. This documentary explores Krisel’s life and work, including his roots in 1930s China, his ground-breaking designs for modern living, and interviews with scholars, his contemporaries and family. “I’m a firm believer that good modern design can make your life happier, more productive and more enjoyable,” says Krisel. During the 1950s, Krisel built thousands of mass-produced tract homes in Palm Springs–and throughout Southern California–and thus played a key role in establishing the desert modernism of the area. 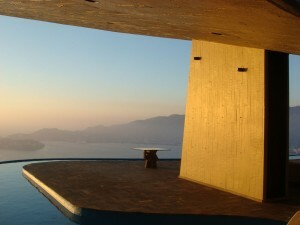 free, joyous spaces for all activities in life.” Infinite Space traces the lifelong quest of visionary genius John Lautner to create “architecture that has no beginning and no end.” It is the story of brilliance and of a complicated life – and the most sensual architecture of the 20th century. Renowned architectural filmmaker Murray Grigor explores Lautner’s dramatic spaces with choreographed camera moves, as Lautner himself provides the commentary, speaking with insight and wit in recordings culled from archival sources. Robin and Lucienne Day transformed British design after World War II with striking furniture and textiles that signaled a new era of modernist sensibilities for everyday living. 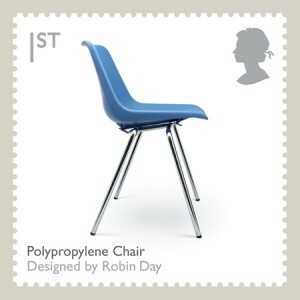 Robin’s revolutionary furniture designs introduced materials such as plastic, steel and plywood to homes, offices and schools. His stacking polypropylene chair endures as an icon and now graces a Royal Mail postage stamp. Lucienne’s abstract textile designs brought accessible elegance into the homes of postwar British consumers. The Days’ fresh design approaches, including their contributions to the Royal Festival Hall in 1951, helped fuel the artistic and commercial awakening that led Britain out of the devastation of World War II. The film traces the Days’ personal and professional progression over the course of their careers, spanning more than seventy years—from their days at the Royal College of the Arts in the 1930s, through their long heyday at the forefront of British design. Please join us for two Design Onscreen films in three different screenings, during National Design Week in New York City. Wednesday Oct. 13 at 3:30pm – Hella Jongerius: Contemporary Archetypes (2010, 30 mins, Director Amie Knox). The Cooper-Hewitt National Design Museum will present Hella Jongerius: Contemporary Acrchetypes on Wednesday, October 13 at 3:30pm as part of their Design Week free screenings. This special screening event is free and open to the public. Tickets may be reserved at the Cooper-Hewitt calendar. Walk-ins are welcome, too. The Cooper-Hewitt National Design Museum is located on Museum Mile, at the corner of 91st Street and Fifth Avenue in New York City. View map. For more information about the Cooper-Hewitt National Design Museum click here. You can also view the trailer for Hella Jongerius: Contemporary Archetypes. Hella Jongerius: Contemporary Archetypes (2009, 30 min) – Regarded as one of the most innovative and creative designers working today, Dutch designer Hella Jongerius explores new visions for design, craft, art and technology in her products for everyday life. Presented by Design Onscreen – The Initiative for Architecture and Design on Film. Click here to buy a DVD of Hella Jongerius: Contemporary Archetypes. Friday Oct. 15 at 6:00pm and Sunday Oct. 17 at 2:15pm – Contemporary Days: The Designs of Lucienne and Robin Day (2010, 77 mins, Director Murray Grigor). Design Onscreen’s latest film, Contemporary Days: The Designs of Lucienne and Robin Day, will be shown on Friday, October 15th at 6:00pm and Sunday, October 17th at 2:15pm, at the Tribeca Cinemas, as part of the Architecture & Design Film Festival — the largest US film festival devoted to architecture and design. For details about the film and screenings, click here. To purchase tickets to this screening or other films at the Architecture & Design film festival, click here and choose the “2 to Tango” program. You can also view the trailer for Contemporary Days at the Design Onscreen website. Contemporary Days: The Designs of Lucienne and Robin Day (2010, 77 mins). Robin and Lucienne Day transformed British design after World War II with revolutionary furniture and textiles that signaled a new era of modernist sensibilities for everyday living. Director Murray Grigor’s film traces the Days’ careers over more than eighty years — from their long heyday as Britain’s leading designing couple to their recent rediscovery by new generations of design aficionados. The 2010 Architecture + Design Film Series, presented by Design Onscreen and the Denver Film Society, will include two films from Design Onscreen: William Krisel, Architect and Contemporary Days: The Designs of Lucienne and Robin Day. Following is the complete schedule for the Film Series, which will feature five screening events from September 15–October 7, 2010. 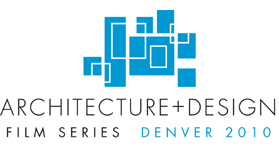 Each screening will include appearances by and receptions with filmmakers, architects and design experts.Tickets for all screenings may be purchased from the Denver Film Society website. Design Onscreen – The Initiative for Architecture and Design on Film announces the world premiere screening of its latest documentary, Contemporary Days: Robin and Lucienne Day Design the UK. The ninety-minute film premieres at 7:30pm on May 15, 2010 at the National Geographic Museum’s Grosvenor Auditorium in Washington, DC. A question and answer session with Director Murray Grigor and Cinematographer Hamid Shams will follow the screening. Tickets must be purchased in advance via the Design Onscreen website. 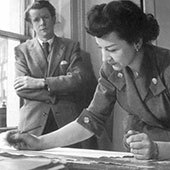 The May 15th premiere event has been scheduled to coincide with the opening of Art by the Yard: Women Design Mid-century Britain, an exhibition featuring Robin and Lucienne Day’s work, among other influential British designers, at Washington DC’s Textile Museum. The Art by the Yard exhibition will be on display at the Textile Museum from May 15 through September 12, 2010. An excerpt from the film is featured in the exhibition. For more information on the exhibition, please visit www.textilemuseum.org.